A cash value plan offers tax breaks, but can cost a lot more than a term policy. If you're deciding between a term or cash value life insurance policy, one of the big differences is the investment component offered by the cash value policy. Though the cash value policy offers tax advantages to your investment, CNN money calls whole life policies a "very costly way to invest." But, in some cases, the cost may be worth the benefits. The investment component of your cash value life insurance policy grows tax-free as long as the money remains in your account. For example, say your cash value policy invests in bonds that pay interest. If you owned those same bonds in a brokerage account, you would pay taxes on the interest each year. In the insurance policy, you don't pay taxes on the interest and, as long as you don't cash out more than you've paid in premiums, you get the money out tax-free. If you expect to carry life insurance for the rest of your life, a cash value policy can be a good investment. When you take out the policy, your premiums are fixed for life. As long as you keep paying your premiums, your policy will never be canceled no matter how long you live. Term life insurance, on the other hand, is only good for a certain period of time. Once that period ends, your policy is over and you get nothing. Cash value life insurance policies are notorious for high fees. The commissions the first year can run as high as 90 percent, according to Fox News. In addition, your annual fees can run as high as 3 percent of your account value. Plus, many policies include a surrender change, which reduces the amount of you cash value you get to keep if you cash out your policy within a certain period of time -- sometimes as long as 10 years. As you build up cash value in your policy, you're typically allowed to borrow against it. However, as beneficial as it might feel to be able to borrow against the value of your life insurance, you might be unintentionally limiting the death benefit received by the beneficiaries of your policy: any outstanding balance on your loan reduces the amount your beneficiaries receive. For example, say you have a $350,000 death benefit but you die with $75,000 outstanding on a policy loan. In this case, your beneficiaries only get $275,000. CNN Money: What are the Pros and Cons of Universal Life Insurance? Bankrate.com: Can I Borrow From My Life Insurance Policy? Are Life Insurance Surrender Amounts Taxable? 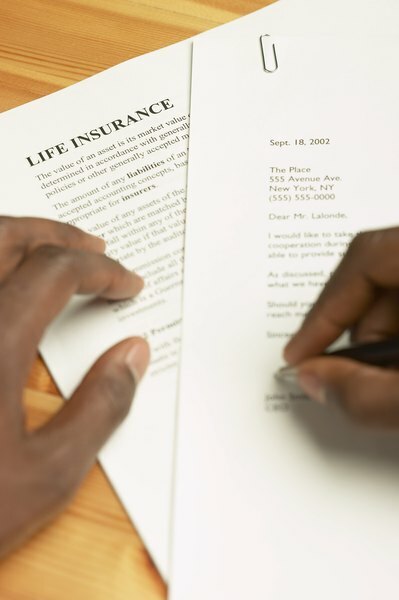 What Is a Surrender Charge on a Whole Life Insurance Policy? What Is Better, a Roth IRA or a Universal Life Policy?